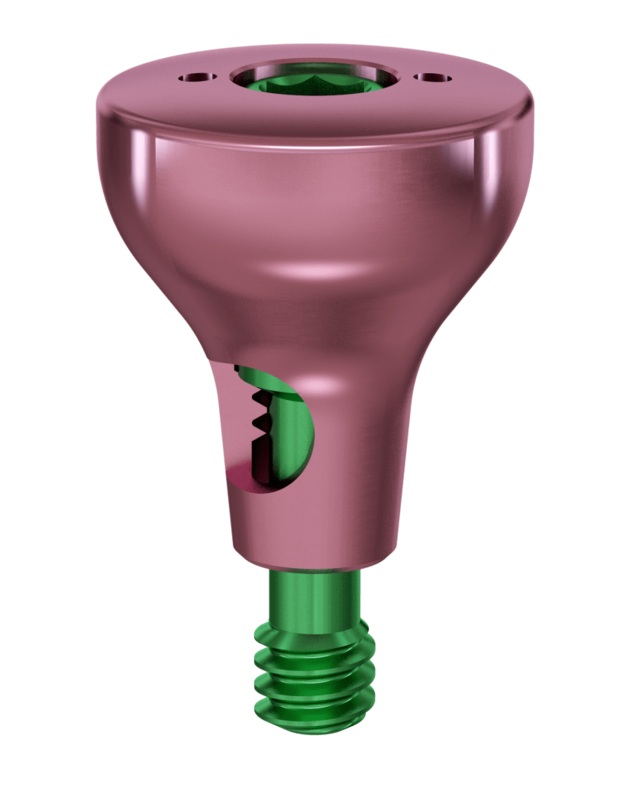 Should be used in all cases except narrow spaces where narrow abutments (A1N) and abutments with attachments are used. The height is selected depending on gum biotype. 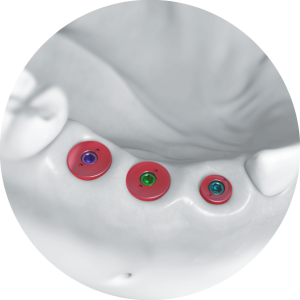 Former shape corresponds to the gingival part of anatomical and transgingival abutments of the corresponding size. 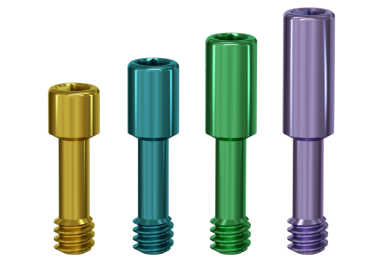 Are used in cases of insufficient space to place anatomical abutments and to form the gums using straight abutments with attachment. 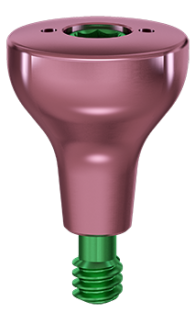 Is used to create the required gingival contour in aesthetically important areas, generally along with gum contour surgical correction. 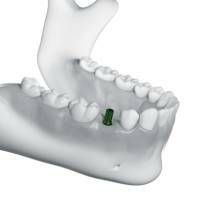 Can be used as a temporary abutment. 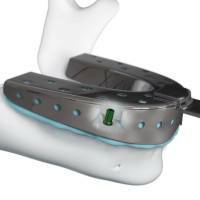 Made from biocompatible plastic. Should be used in all cases. 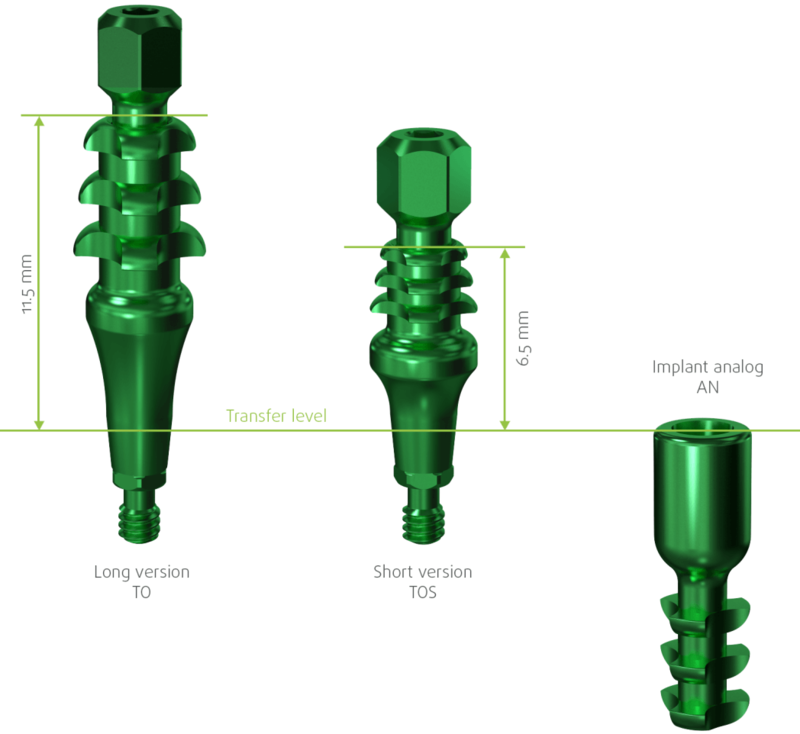 Supplied with ST transfer screw. 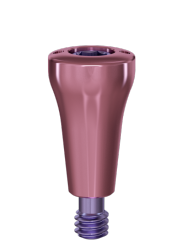 Available in standard (TO, 11.5 mm) and short (TOS, 6.5 mm) versions. 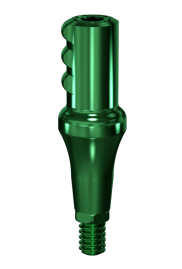 Surface is polished and anodized to green color to add contrast during impression taking. Ti6Al4V material. 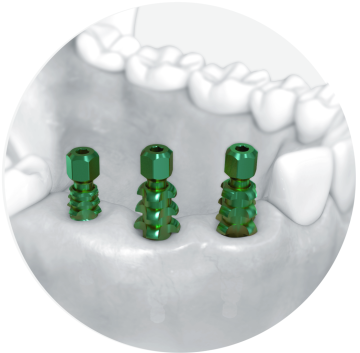 Together with hex allows you to transfer the exact position of the implant into the laboratory model. 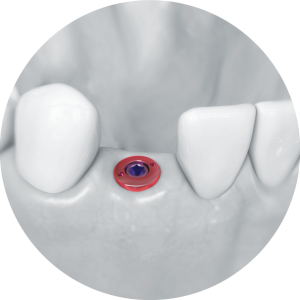 In some cases, due to the taper lock it’s possible to use a transfer for close tray. 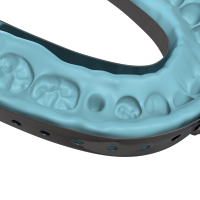 With impression material has special configuration, allowing you to evenly distribute the material around the interface. Two versions for different techniques of impression taking: Via a plastic transfer cap TC, placed on transfer TR Via direct impression taking from a transfer TOD. Surface is polished and anodised to green color to add contrast during impression taking. Material – Ti6Al4V. 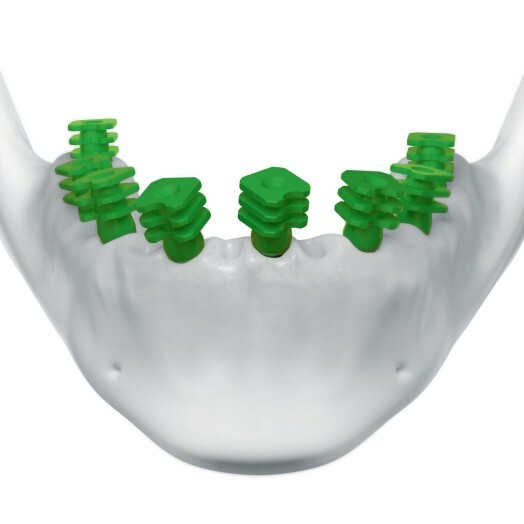 Is used when there is insufficient clinical height in the distal parts of the upper and lower jaws and when implant axes diverge by up to 20°. 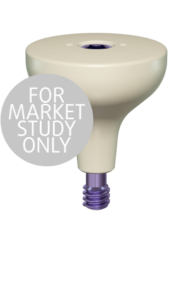 Supplied with SL8 laboratory fixing screw. 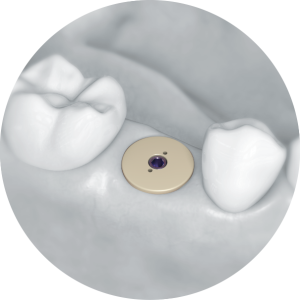 The innovatory plastic cap fixation system provides an accurate cast comparable with open tray transfer. 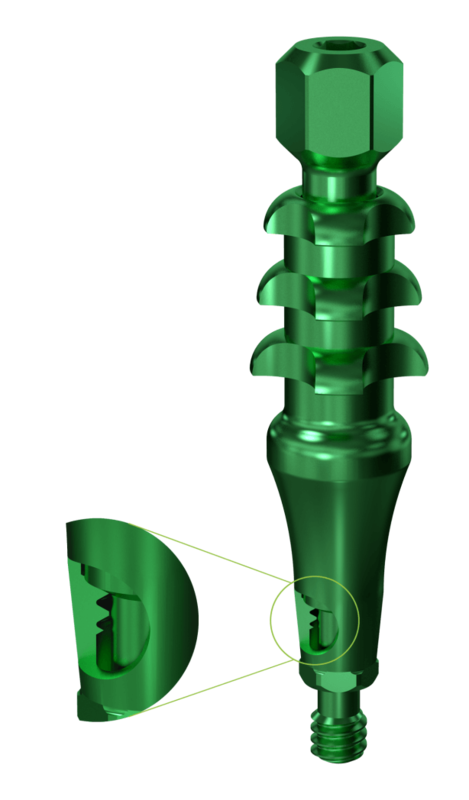 The semicircular cutout matches the anti-rotation slot and allows several transfer caps to be placed in a narrow space.